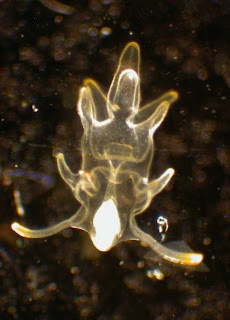 The Ecology of Holothuria scabra! 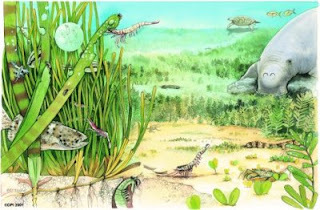 The CUKE-SEA GRASS Connection! Today- SEA CUCUMBER STUFF! yeah, yeah, cukes get all the good stories! 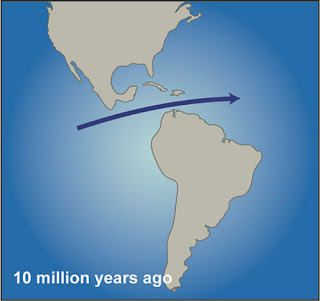 This is based on a new paper (2010) by Wolkenhauer et al. 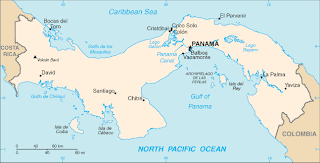 in the Journal of the Marine Biological Association of the United Kingdom which examines the role the tropical Indo-Pacific species Holothuria scabra and its relationship with tropical seagrass beds! Its a pretty neat beast. 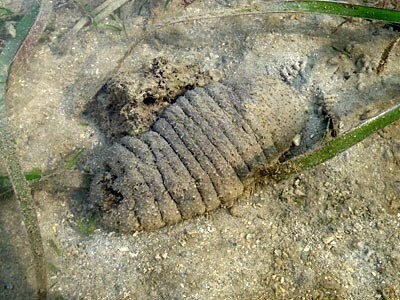 It can actually BURY itself into the sandy substrate. Presumably, it is this aspect which earns it, the common name the "SANDFISH". Yes, if you thought "starfish" was bad.."Sandfish" is even worse and will make your broil in your juices! This has motivated MANY studies in sea cucumber ecology and biology. Why? Because when you remove them, WHAT happens to the habitat they're taken from?? WHAT was their ecological role BEFORE they ended up being sauteed with mushroom sauce?? 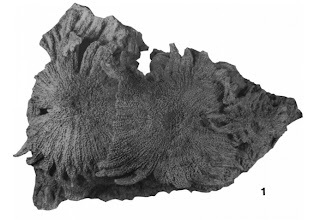 Wolkenhauer et al., undertook their study in Moreton Bay, in south-east Queensland in Australia in 2003 and 2004. 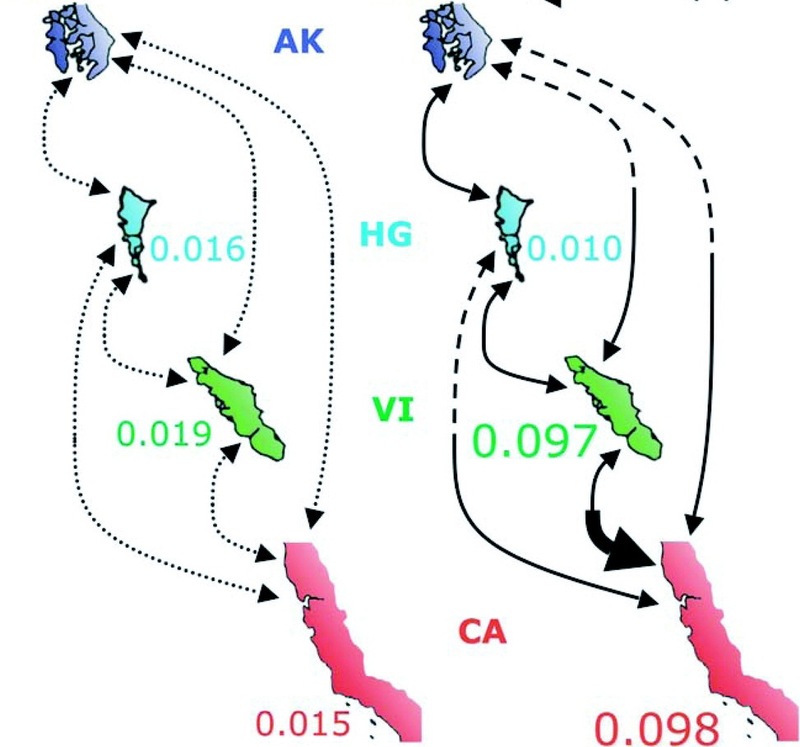 The authors tested the presence/absence/density of H. scabra relative to its surroundings. They caged areas off and separated places where cukes were either present/excluded/ Or impeded by the cages. The authors are careful to note that their study was potentially affected by the time of the year and the number of replicate times they performed the study...but the outcome and its impact remains important. They also surveyed the sea grass species (Cymodocera serrulata) checking biomass, size, dry weight and several other factors relative to the abundance of the sea cucumbers in the caged areas. The short version is: Removing sea cucumbers AFFECTS SEA GRASS systems. In the words of the authors: "seagrass systems may suffer in the absence of holothurians..."
Here is their Figure 3, which shows the two experiments showing average seagrass productivity during the 2003 and 2004 experiments. 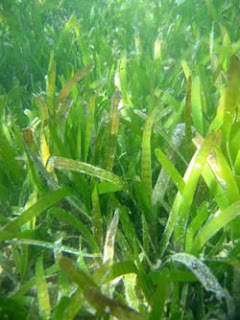 In this particular experiment examining seagrass biomass there has been a significant decrease over the study period when the cucumbes are REMOVED. 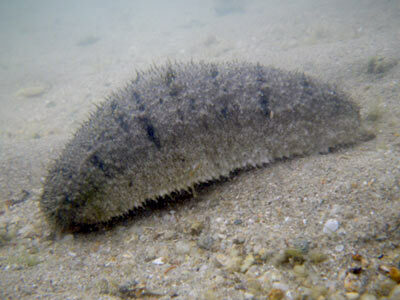 So, what is it about sea cucumbers that makes sea grass beds THAT much more productive when cukes are around?? By ingesting all that sediment and sand and burying itself in the sediment, this kicks up all of the good organic food into the water and can knock loose food and nutrients that would be usable by the seagrass bed and other nearby plants and organisms. Seagrass beds might also be taking advantage of sea cucumber "ammonium excretions" (which some humans would call "pee" but I would not) into the local ecosystem., thus feeding the surrounding plants and animals. How much affect would this have?? 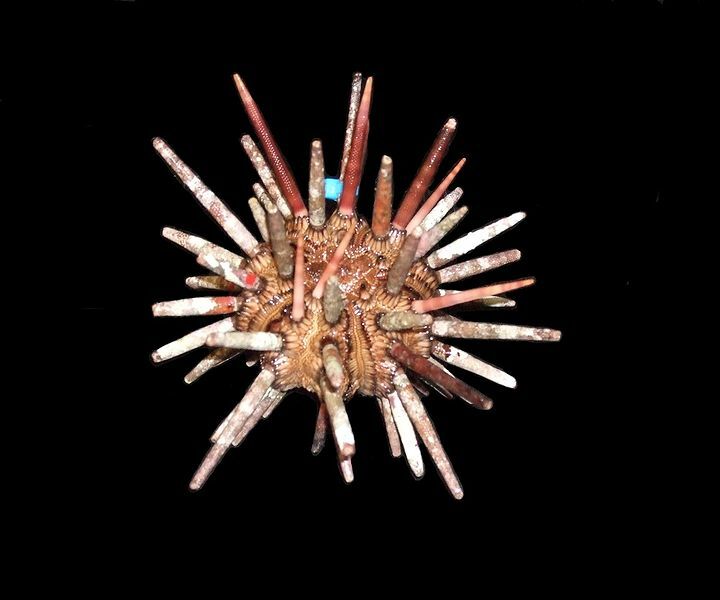 This paper is one of the foundations of understanding how this "nutrient cycle" could work..
As we've seen before, Sea urchin poop is an important force in kelp ecosystems... (click here to see). Nutrients and Why tiny Algae is important..
Their Figure 4 shows change in benthic microalgal biomass. 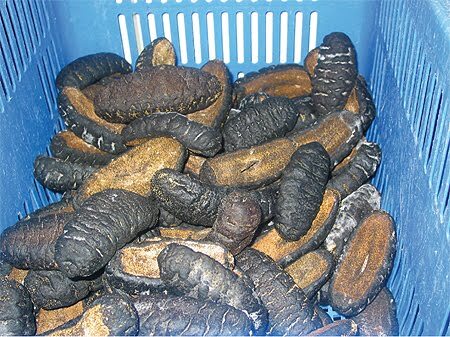 Basically, the amount of organic matter present.. clearly increases when sea cucumbers are excluded (EX below). To quote Egon Spengler "Peter, that would be BAD"
Why? Well, it turns out that with NO holothurians eatin' their algae, bacteria and detritus, you actually see an INCREASE in the certain organic materials. There are other studies in subtropical settings which show that algae and bacterial production is REDUCED when sea cucumbers are GRAZING. 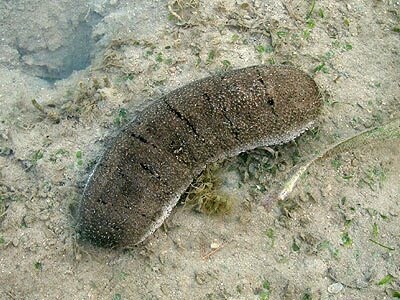 Up to 10 to 40% of bacterial carbon produced in the summer is apparently taken by sea cucumbers. This is conceivably a HUGE impact on the productivity of a region!! With the cukes gone, who eats the bacteria???? What happens in your aquarium tank when you've got too much nutrients and bacteria again???? Your nutrient balance is out of whack. Think of your stomach suddenly producing too much gas. Or a lake with too much algae. Conclusions: What Do We Take Away from This? There is a logical chain of events/implication from Wolkenhauer's results. 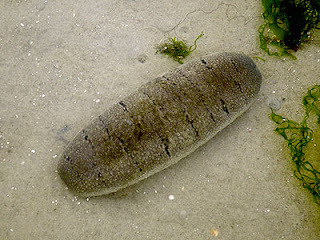 Sea cucumbers are part of the "natural filtration" function that seagrass beds serve in marine ecosystems. By burying themselves and freeing up the sediment, they encourage other ecological interactions around them which causes the flow of nutrients and so on. And why save sea grass? 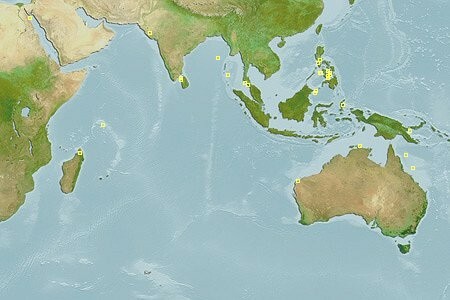 Well, for one thing, other commercially fished FISH and many other species live there. But they serve to filter nutrients and chemical inputs to the marine environment among other reasons. 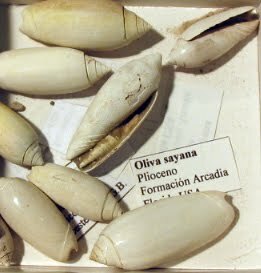 which can be found at Sea grass Watch.org. But to boil it down: Seagrass beds are ecologically IMPORTANT. 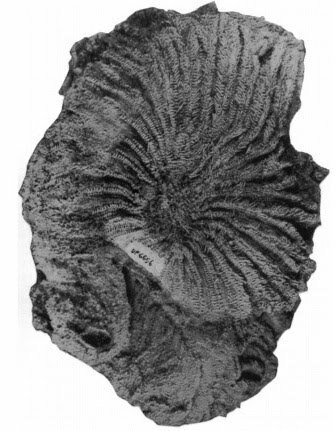 Removal of just this ONE species, H. scabra showed an impact on the system. 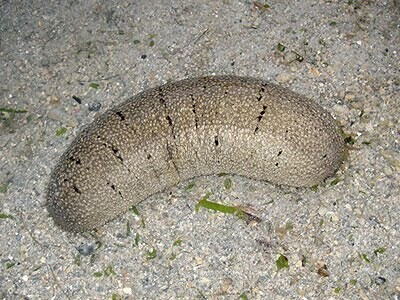 Could the lowly sea cucumber could potentially be the ecological lynchpin to the ecological health of seagrass beds?? Saturday special Fresh from Japan: A square-shaped Bat Star! 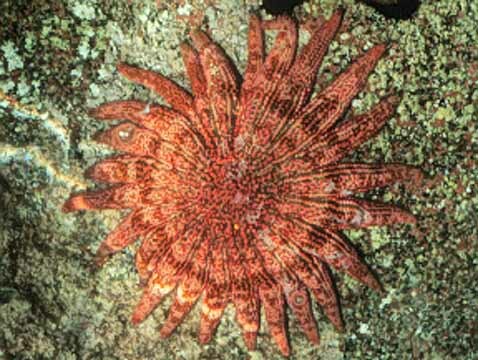 & RAZOR STARFISH!! Wouldn't it be cool if US news found freakish square shaped starfish newsworthy? 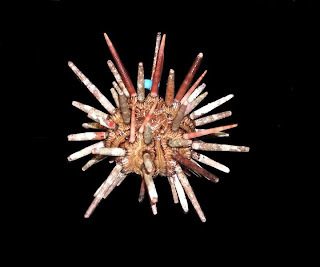 Patiria pectinifera is the Japanese sister species to the Pacific Northwest Patiria miniata.. here, we see the ANN News channel reporting on this "strange" (although its really not that unusual) irregularity! Honestly, though? I have no idea what they are saying. If anyone can provide a translation it would be greatly appreciated!! Saturday extra! FANTASTIC Antarctic Underwater dive Video!! This is a FANTASTIC video of diving in Antarctica that I don't think has been appreciated enough... The cool Antarctic inverts don't start until about 2 minutes in..
Antarctica - Below Zero from Alex.Be. on Vimeo. Alex.be has MANY awesome videos. His underwater lake videos are hauntingly beautiful. Echinoblog sez GO CHECK IT OUT! 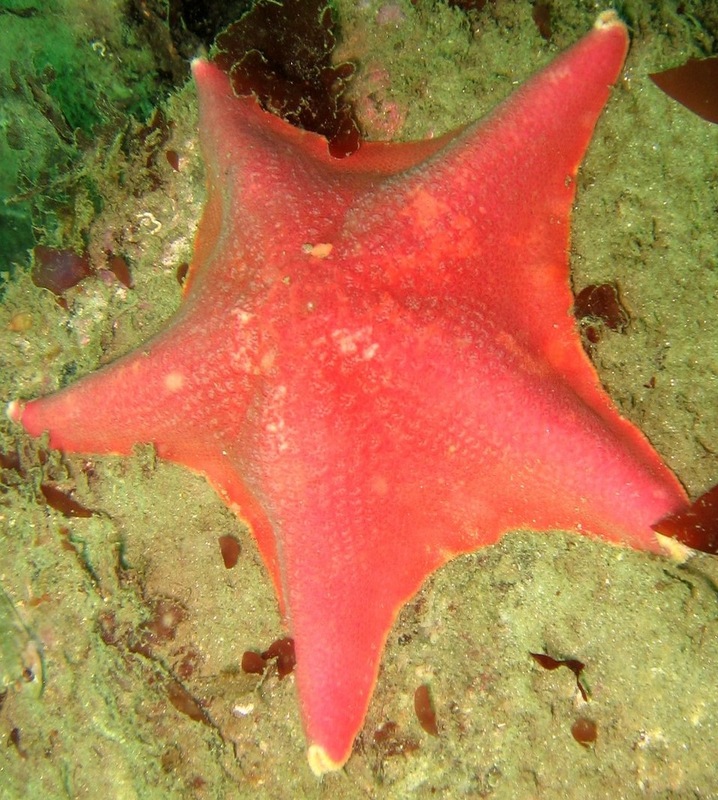 Why Are there NO Bat Stars (Patiria miniata) in Wash. & Oregon?? 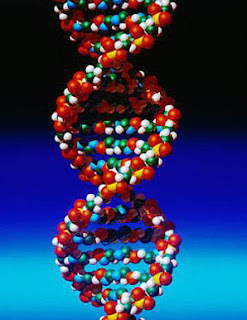 What does genetics tell us? 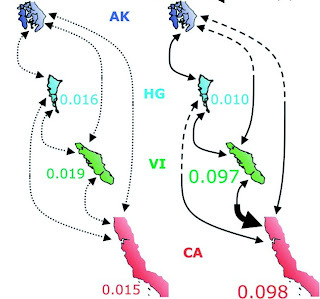 Today, a 2009 paper from Carson Keever and others from UC Davis and Mike Hart's lab in UC Davis from the journal Evolution! (click to see) about understanding the history of populations of the familiar intertidal/shallow-water Bat Star, Patiria (formerly Asterina) miniata! We start with a mystery. If you look at the entry for bat stars in any intertidal guide to marine invertebrates, the range for this species is reliably cited as "Southern California up to British Columbia and Alaska..." But what often gets left out, is that there's a strange disjunction or absence of these starfish along a segment of the coast between Oregon and Washington! 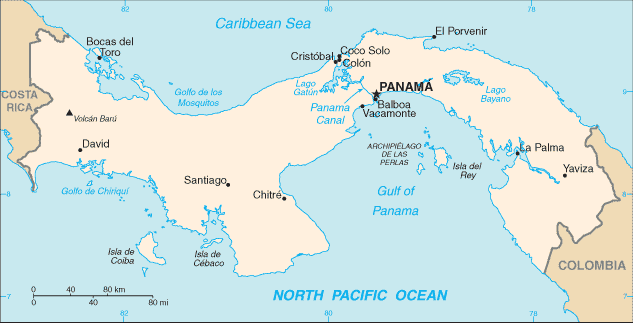 The first step was to look at the genetic relationships between the bat stars along the coast. Is the disjunction the start of new distinct species (i.e., isolated populations) ?? 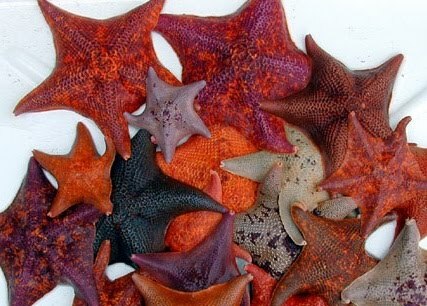 We've seen this kind of method applied in a previous post about the color morphs of Pisaster (see here). 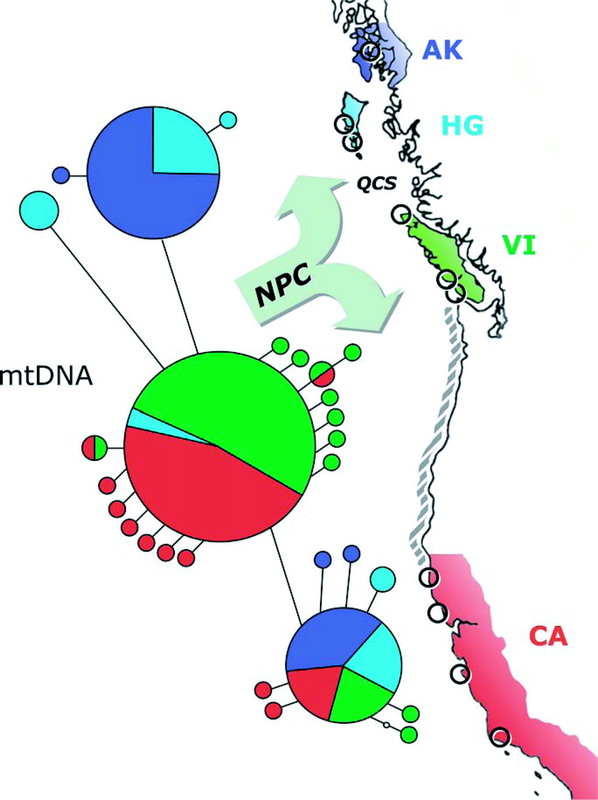 The authors extracted DNA from 423 individuals from 14 locations from Alaska, the Queen Charlotte Islands, Vancouver Islands, and California (from Fort Bragg to Santa Barbara). DNA from these specimens can be analyzed and compared so that they essentially assess the overall similarity between them and among them. The circles represent the samples taken. The larger size of circles represents the number of specimens sampled. The colors correspond to distinct haplotypes (the aforementioned genetic material) from each original region. 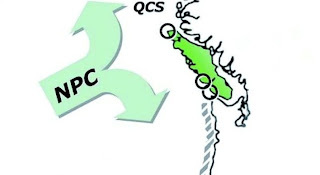 Thus, red corresponds to specimens originally from California, green from Vancouver, and blue from Alaska/northern Haida Gawaii (in the northern part of the Queen Charlotte Islands). Each circle (i.e. the samples) has multiple colors, suggesting some mixing of populations in each region. You can see distinctly different colors (i.e., the haplotypes) between the more northern populations [i.e., blue from Alaska and North Vancouver (Haida Gawaii)] versus the red/green/blue populations in the southern regions (California and Vancouver Island). 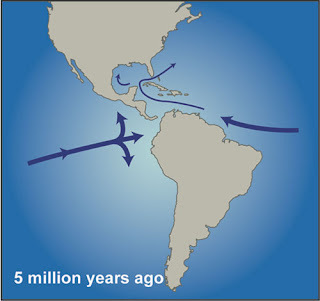 The genetic "break" between the Northern populations versus the Southern populations may have been caused by past oceanographic barriers, such as the west to east North Pacific Current. 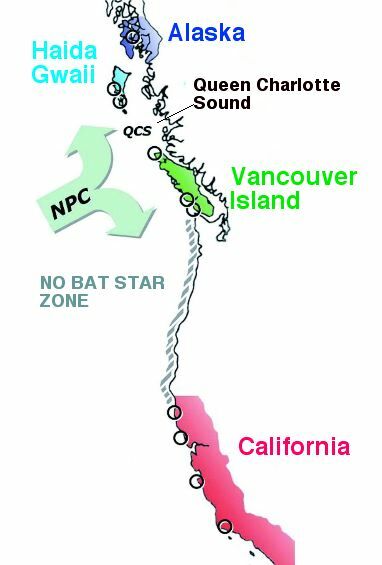 The North Pacific Current may form a barrier to the larval forms of this species as it effectively keeps the two populations apart..
Based on the data on gene flow, it turns out there's a LOT of genetic mixing between southern populations, especially between California and southern Vancouver. So, what do we know about the OR/WA disjunction?? There was no direct evidence that these genetic populations showed isolation or the beginning of distinct species across the Washington/ Oregon Disjunction (i.e., the no bat star zone). 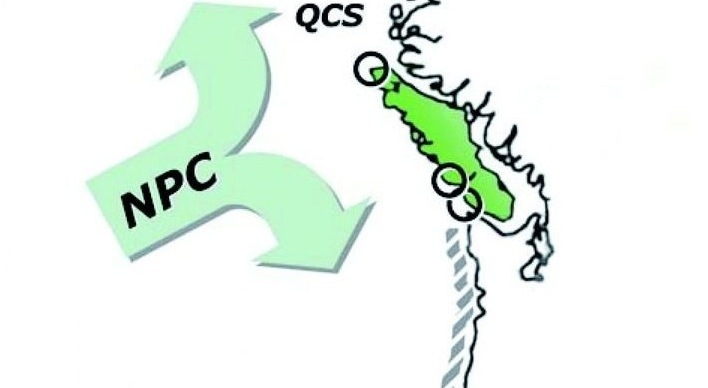 In fact there was 10 TIMES higher the rate of gene flow across the range disjunction relative to the gene flow in the Queen Charlotte Sound. 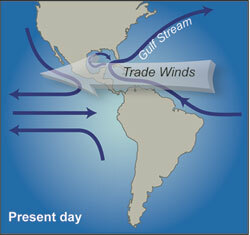 (Note that a high rate of gene flow generally suggests coalesence of a population rather then a separation). 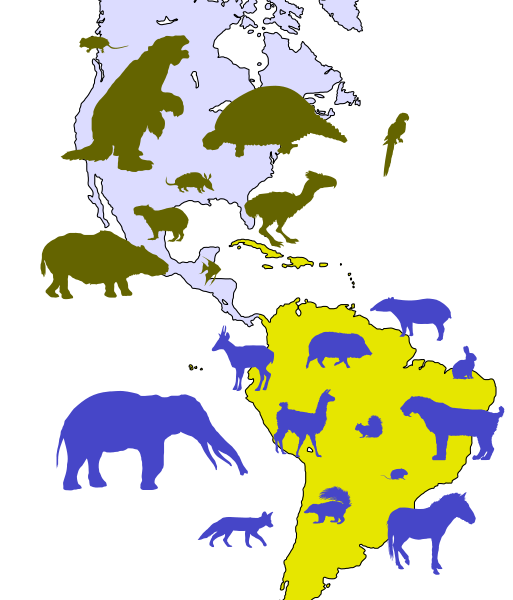 So, from a genetics standpoint, the WA/OR disjunction is NOT the starting point for two separate species. Is it glaciation?? During the last ice age, glaciers extended out to sea and could have affected the distribution of marine life. Could this have been responsible for the distribution we observe? It turns out..no. 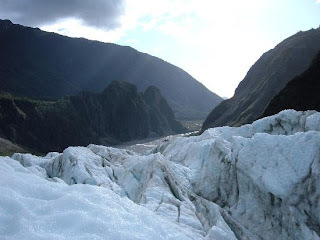 The authors rule out glaciation as a possible mechanism. Unfortunately for this idea-the genetic structure of Patiria miniata populations don't match up with the disjunction. Without a clearer explanation, the authors can only speculate that there was a "recent local extirpation" which would have broken up Patiria's range along the coast....perhaps something more ecological then historical or geological. At this point, the Washington-Oregon disjunction remains a matter of "well, we know its not that..."
But stay tuned! you never know what will come up next!